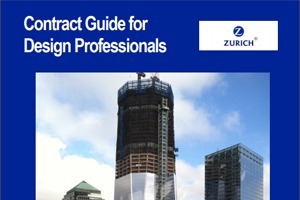 Contracts for Design Professionals – module 7 of 9. Discussion of the following contract clauses: Redesign Costs, Reliance on Information Provided By Client and Others, Responsibility for Rights of Way and Easements, Schedule, and Time for Performance. Hello. This is J. Kent Holland. It’s my pleasure to present this course on contracts for design professionals. The specific clauses that we will discuss in this particular module of the course will be shown on the next slide. Throughout the presentation, I will be using slides to include examples of the contract language that we’re discussing. With that brief introduction, let’s jump right into the clauses. Let’s talk about redesign obligations. Design professionals are increasingly being required to redesign projects due to construction costs exceeding the owner’s budget. Since the design professional has no control over material escalation cost or the bids submitted by the potential contractors, it’s not possible to guarantee that the bids received won’t exceed the budget or that as a result of normal change orders during construction, the budget might not be exceeded. So it becomes a problem if the terminology of the contract guarantees that the design will be perfect and that will result in a project coming in on budget and that any changes to the design in order to lower the cost that were bid by the contractor would be re-performed, those design services would be re-performed for free by the designer in order to get the project back on budget. That could be a very significant cost. What I like to do is when I see that kind of clause, and an example of the clause is actually ironically an AIA B101, section 6.7, provides for just that, the redesign with no compensation. What I prefer to do is add that the redesign will be with no compensation if the reasons for the redesign were due to the negligence or willful misconduct of the design professional. Otherwise, you should be paid for it. When we talk about redesign cost, we can look at article 6.7 of the AIA B101 as an example of the kind of clause that requires the redesign with no compensation. That clause reads as follows. “If the owner chooses to proceed under Section 6.6.4, the Architect, without additional compensation, shall modify the Construction Documents as necessary to comply with the owner’s budget for the Cost to the Work at the conclusion of the Construction Documents Phase Services”. Let’s look at the clause dealing with rejection of a contractors work. Injured employees of construction contractors sometimes argue that the design professionals authority to reject work of the contractor renders the design firm liable for not rejecting unsafe work that contributed to the individual’s injuries. Courts generally recognize that the responsibility of the architect or design professional is for the benefit of his own client and not for the benefit of third parties. However, when the courts reach that conclusion, they focus on the contract language to see what the obligations were for the contract and of course they are also going to look at the actions of the architect or designer in the field and we will deal with that when we talk about site safety later on. That type of provision gives good clarity to the design professional’s role and responsibility and can alleviate the potential for injured parties or courts to conclude that somehow the design professional owed a duty to reject work so that it would benefit these third parties. There are some really interesting cases on this issue and I don’t have time to really go through them here in this webinar, but if you would go to constructionrisk.com, look at the index, third party beneficiaries, you will find several cases from the last few years addressing the issue of when does a design firm have a duty to a third party and what are things that the design professional has successfully done in the contract to avoid such a duty. Let’s look now to the clause dealing with reliance on information provided by others. Some owners fail to provide all the information that they have. Some contracts state that information is for the design professional’s general information only and not to be relied upon. By agreeing to that kind of general disclaimer language of the reliability of sight information and other information that is provided by the owner, the design professional may be forfeiting the right to recover costs or damages resulting from such information if it turns out to be incomplete or inaccurate. In most cases, this transfer of liability from the owner to the design professional is not appropriate, because the owner has actually retained others like geotech firms to do soil test or site borings to determine what the condition of the sub-surface is before the design professional comes out to design the project. And it’s only right that the design professional be able to rely on those geotech reports. And indeed, the owner doesn’t realistically expect the design firm to go out and do its own borings and do intrusive observation into the site. That would be something that’s already been done. The owner doesn’t want to pay to have it done again, therefore, this type of a clause ought to be revised or stricken from the contract. The AIA approach to this is found at Article 3.1.2 of B101 and it reads as follows: “The Architect shall coordinate its services with those services provided by the Owner and the Owner’s Consultants. The Architect shall be entitled to rely on the accuracy and completeness of services and information furnished by the Owner and the Owner’s Consultants. The Architect shall provide prompt written notice to the Owner if the Architect becomes aware of any error, omission or inconsistency in such services or information.” That provision of the AIA form provides protection for the architect in that it is entitled to rely on information, but at the same time, provides reasonable protection for the owner in that it requires the architect to provide written notice to the owner if it becomes aware of any errors and omissions in the information that was provided. So this seems to me to be a very well balanced clause allocating the risk to each of the parties where it belongs. Let’s talk now about responsibility for services provided by others. Some contracts impose a duty to coordinate the services of others that should not be accepted by the design professional. The consensus docs 240 at Article 3.2.6, for example, says that the design professional must coordinate the services “of all design consultants to the project, including those retained by the owner.” Now, that clause presents a problem because if the owner’s design professionals do not properly perform their services, the owner could claim that the design professional that signed this contract language contributed to the problem by failing to properly coordinate the services of the other consultants. Now, that clause is not realistic and it needs to be stricken out of that contract. And the reason is that the design professional only has a contract with its client, the project owner, and it cannot logically, legally, factually control and coordinate the services of other consultants who have contracts directly with the owner but don’t have any contractual relationship with this design professional. There’s no contractual means to make that happen. There’s no legal means to make that happen, and indeed if a design professional were to do that, it would almost be an interference with their contract and it would certainly create problems for everybody on that project. This is just an inappropriate clause. Let’s look now at the clause dealing with right of entry. Some owner-generated contracts contain clauses that put the entire burden of obtaining access rights, rights of ways or easements on the design professional. An example of an unfortunate clause like that reads as follows: “Design Professionals shall obtain all necessary easements, rights of way, rights of entry, permits and licenses to enter the proposed site for the purpose of performing services under this Agreement, including to conduct tests and collect data.” Now, that creates obvious problems because it is imposing all of that duty upon the design professional, when logically, the owner may be in the best position to go out and get rights of way from neighboring owners or even permits and licenses from appropriate governing agencies. This can be disastrous for a design firm. The owner really needs to accept that responsibility in the contract. So a contract clause that I would prefer might read as follows: “Design Professional shall assist the Owner to obtain all necessary permits and licenses directly related to services required to be performed by Design Professional under this Agreement. Owner shall provide a reasonable right of entry and any easements and all authorizations needed to enter upon the property to perform services required under this Agreement.” That clause allocates the risk appropriately to the owner to obtain those permits and authorizations. The design professional, under that clause, serves in a capacity of assisting the owner to obtain those permits and easements and rights of way. And that would be appropriate to assist, but not to have the duty to go out and get those in your own name, by your own right. I like that language because it states that you’re going to provide this service expeditiously, but consistent with the standard of care. So we tie it back to the skill and care that’s appropriate for the project and it may take longer to do certain tests, investigations, responding to RFI’s, making changes on the project, all of which take time and could push out the performance of the services. To arbitrarily set a date and then blindly rush to get that date could cause you to have to violate the standard of care, which would logically require additional time to complete the services. So these, time of the essence clause becomes in conflict with the standard of care clause. I like the way the AIA has handled it because it puts the time and the standard of care back together again. Let’s talk now about time limitations that are sometimes placed on a design professional’s response to contractor RFI’s. I’m seeing contracts that specify very short time periods for RFI’s to be responded to by the design professional. The problem is that despite diligent efforts by the design firm, it really may be impossible to analyze the situation and respond within a very short time frame. Some RFI’s simply take longer to review and analyze, and that type of time should be taken. At a minimum when the time frame is specified, an exception should be added to the time requirement that will permit the design firm additional time as necessary in order to review the matter and act in a manner consistent with the standard of care. Turning now to Scope of Services. This is one of the most significant aspects of the contract, is specifying the scope in significant detail that there is no ambiguity, that the parties have a mutual understanding of what is expected in the way of services as basic services to be paid under the basic fee, and what will be the additional services to be paid as additional fee. And finally, it may be appropriate to specify excluded services. And I’ve seen contracts where the overall project has such a vast array of services needed that the design firm thought it necessary to specify in detail what was excluded from its own services, so there would be no confusion that it was going to do these other services. Agreeing to provide, for example, all services and permits necessary to complete the project could really become a problem because it’s so broad that in order to say you’ve agreed to provide all the services necessary and all the permits necessary. That is the type of clause we would pay attention to strike it or revise it to be more accurate in its description. Now, the Changes Clause of the contract should authorize the owner to seek only those changes that are within the general scope of the services that were expressly stated in the scope of services. If the changes clause gives the owner exceptionally broad authority to make changes then that could actually exceed the scope, become scope creep, if you will, take you all the way outside of your original scope, possibly even into uninsurable areas of practice or areas for which you don’t have the personnel available to work with you. So it’s important, not only to focus on the scope clause, but also how does the changes clause potentially impact the scope of services. Thank you for joining me today. I hope you enjoyed this session that we did on risk management, and if you would like to contact me, I am putting a slide up here at the end that has my name, phone number, email address, and website information. Don’t hesitate to call me or contact me. And particularly, if you would like AIA continuing education credits, we will explain how that can be accomplished. Thanks. Look forward to seeing you again.